Nothing says home for the holidays like the smell of treats baking in the oven and a crowded kitchen filled with loved ones. Whether making decades-old family favorites or starting new holiday baking traditions, you can create homemade holiday goodies in a (ginger) snap. Prepare 3D Silicone Tree Mold and silicone spatula or wooden spoon with vegetable pan spray. Heat Cookie Icing following label directions. 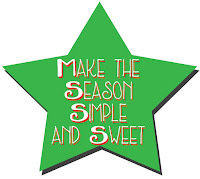 Squeeze snow and garlands on trees; add sprinkles and sugars as desired. Let dry. Preheat oven to 350°F. Lightly spray Easy Decorate Swirl Cookie Pan with vegetable pan spray. In small bowl, combine flour and salt. In large bowl, beat butter and sugar with electric mixer at medium speed until well blended. Beat in egg and extracts; mix well. Add flour mixture; beat until well blended. Press dough into pan cavities, filling 2/3 full. Bake 10 to 12 minutes or until light brown around edges. 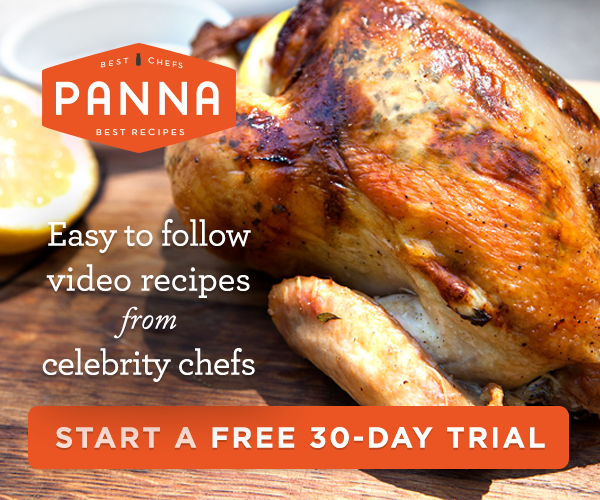 Cool in pan 10 minutes. Turn pan over; lightly tap pan to remove cookies. Cool cookies completely. 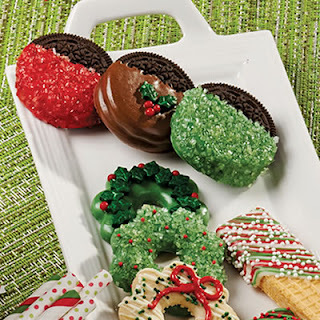 Decorate cooled cookies with Sparkle Gel. Let set, at least 30 minutes. Melt white Candy Melts candy following package instructions. Place cookies on cooling grid positioned over parchment-lined cookie sheet. Spoon melted candy over top surface of cookie; chill 5 to 10 minutes or until set. Turn cookies over, candy side down, on cooling grid. 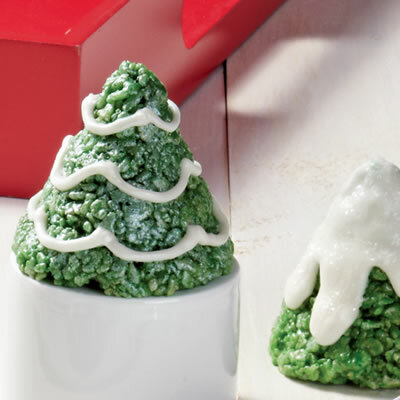 Completely cover cookies with melted candy; chill 5 to 10 minutes or until set. Repeat, if needed, to completely cover cookie. 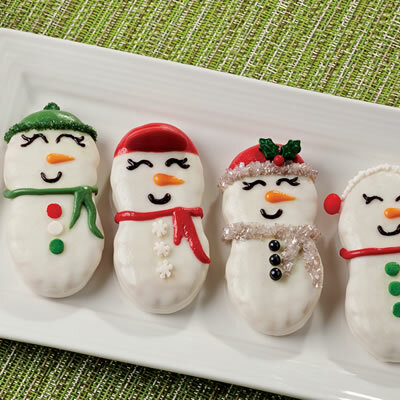 To decorate snowmen, melt Candy Melts candy following package instructions as needed. 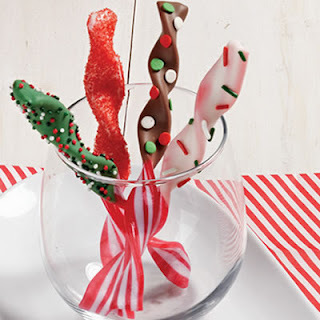 Using red, green and white candy in candy or disposable decorating bag, pipe hats, ear muff band and scarves, adding colored sugar trim to candy before it sets. For ball cap, cut a Candy Melt candy wafer in half; attach with melted candy. Attach sprinkles for buttons, ear muffs and decorative accents using dots of melted candy. Using melted black candy and decorating bag, pipe facial features. Using melted orange candy and decorating bag, pipe nose. In small bowl, combine flour, baking powder and salt. In large bowl, beat butter and sugar with electric mixer until light and fluffy. Add egg and extracts; mix well. Add flour mixture, 1 cup at a time, mixing after each addition. Do not chill dough. Divide dough into 2 balls. On floured surface, roll each ball into a circle approximately 12 inches diameter and 1/8 inch thick. 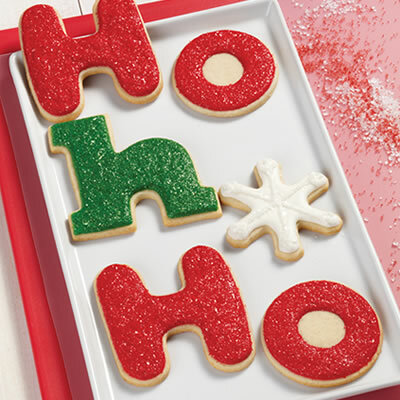 Dip Cookie Hugger or "Ho-Ho" Word cookie cutters in flour before each use. Bake cookies on ungreased cookie sheet 8 to 11 minutes or until cookies are lightly browned. Cool cookies completely. Outline and fill-in cooled cookies with Cookie Icing. For "Ho-Ho" cookies, sprinkle with sugars; let set until icing is completely dry. For snowflake cookie, add white Cookie Icing detail to dried cookie; attach Sugar Pearls with dots of icing. 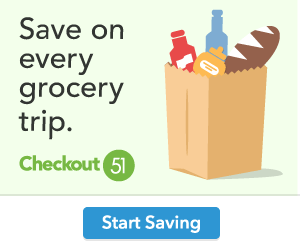 In Disposable Dipping Container or bowl, melt Candy Melts candy separately following package instructions. Dip marshmallows in melted candy and place on cooling grid positioned over parchment-lined cookie sheet. If desired, sprinkle with sugars and sprinkles. Chill 5 to 10 minutes or until set. 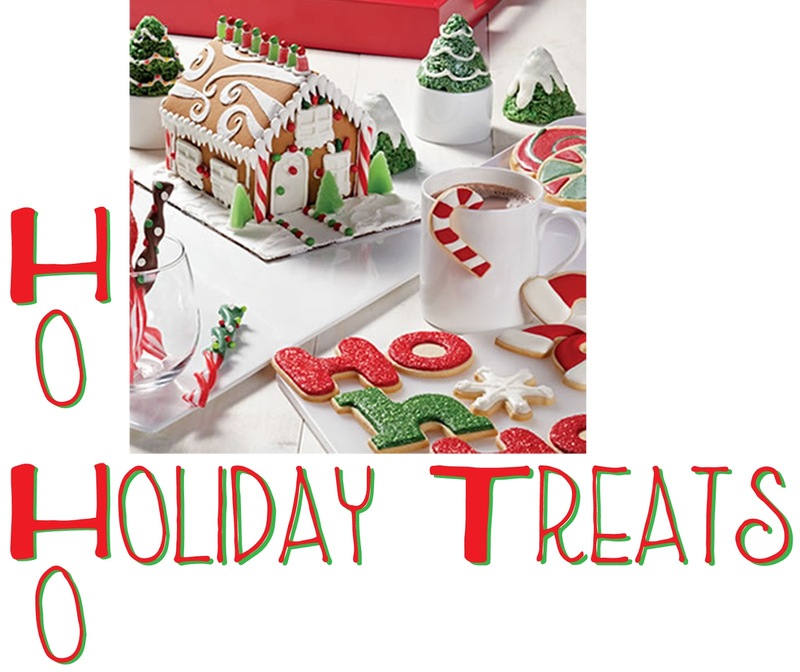 Using candy decorating bag or disposable decorating bag, drizzle melted candy or pipe outlines, if desired; immediately sprinkle with sugars or nonpareils. Attach confetti with dots of melted candy. Chill 2 to 3 minutes or until set. With point of sharp knife, carefully cut through candy on the marshmallow where stick will be inserted. 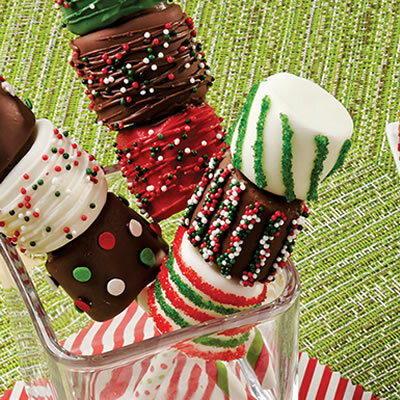 Insert three marshmallows onto each Colored Lollipop Stick, securing with melted candy. In Disposable Dipping Container or bowl, melt Candy Melts candy separately following package instructions. 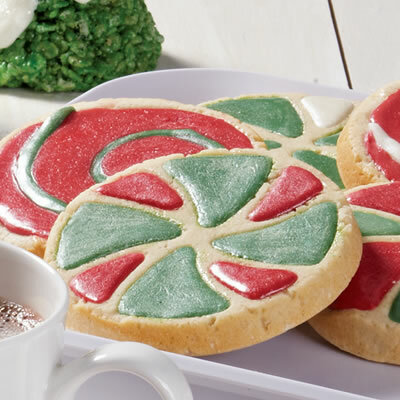 Partially or completely dip cookies in melted candy. Place cookies on cooling grid positioned over parchment-lined cookie sheet. If desired, sprinkle with sugars and sprinkles. Chill 5 to 10 minutes or until set. Drizzle with melted candy in a contrasting color. Chill 3 to 5 minutes or until set. Attach sprinkles with dots of melted candy. Chill 3 to 5 minutes or until set. Pipe melted candy bows and other decorations.